Cleaned bottles drying before the bottling process begins. 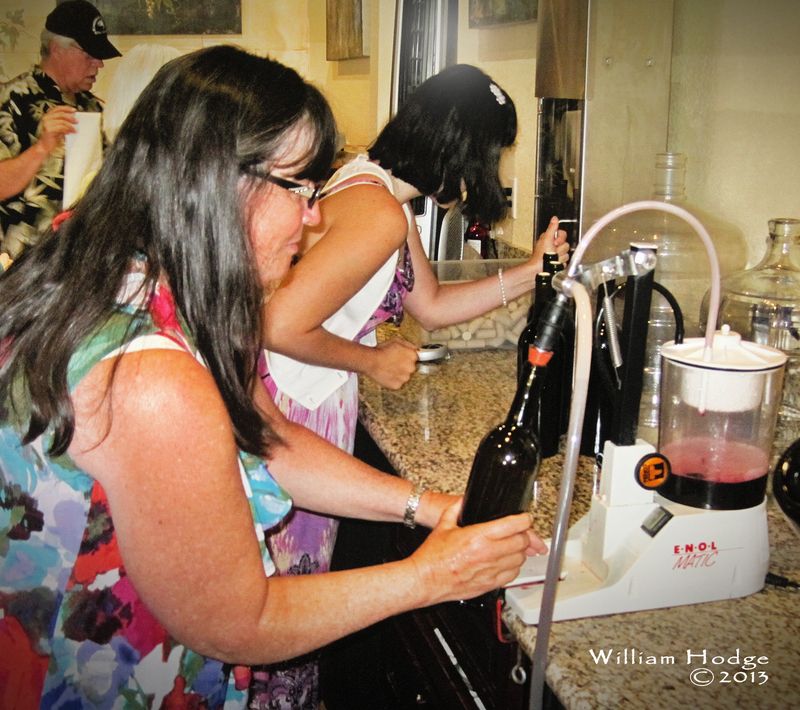 Filling a bottle of wine is generally not the topic of discussion when you visit a winery. It’s more about the fruit, the brix, the harvest, the crush, the terrior, the oak and the blend. So, when our niece invited us to a ‘wine bottling party’ celebrating her birthday, our curiosity was piqued on how to finish a bottle of wine. We bottled wine at Canyon Crest Winery, tucked inside a shopping center in Riverside. They source their juice from Italy and California to ferment and age their small batches of wine on-site. The storefront serves as their bottling and tasting room while wine matures in the rear storage area. Pumping wine into it’s new home, a Bordeaux style bottle. They also sell other wine, one of which we tasted. They carry a Bronco wine from France by the name of Naked Earth. It’s labeled as organic. We won’t critique these wines as we normally would, because the wine didn’t fit our palates. All the wines were very soft and drinkable. If you think wine is too harsh to drink, you’ll enjoy a Canyon Crest bottle of wine. Their tannins were soft. If you are a tea drinker or put a lot of cream and sugar in your coffee you’ll enjoy these wines. If you’re looking for a big bold Cab, we did not find it here. The bottling was very hands-on and simple. Kevin demonstrated how to disinfect and wash bottles before using a pump to fill them. 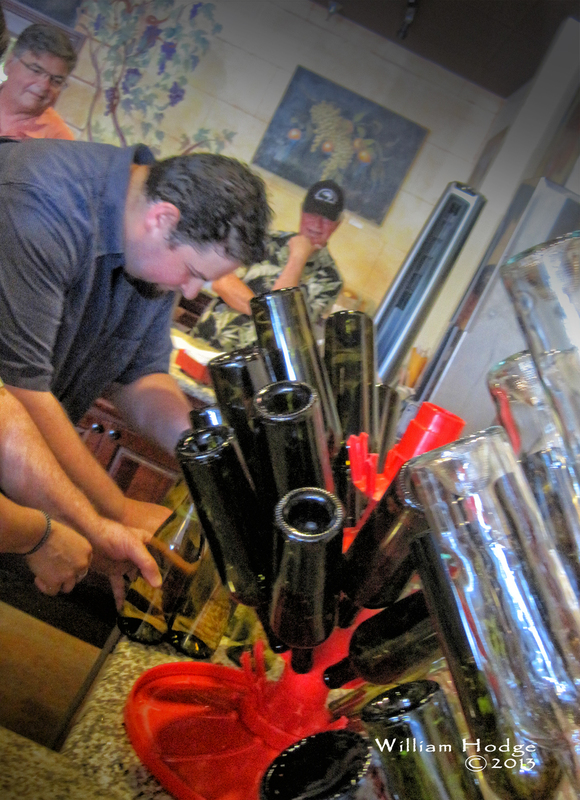 Their pneumatic corker finished the bottling with a composite cork inserted neatly into the bottle. 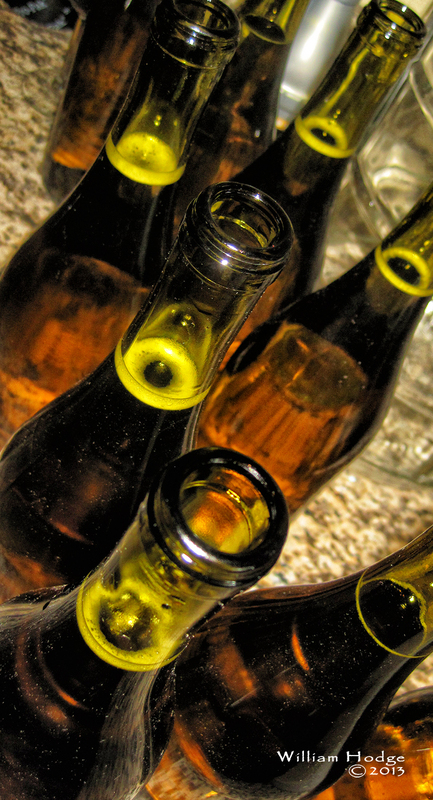 Everybody in the party had their chance to wash, fill and cork a bottle of wine. We then labeled them with custom created graphics. The finished product, with custom labels. We received two bottles each, Eagle Rock Italian Amarone and Eagle Brook Chardonnay with this advice on drinking the wine – enjoy the Chardonnay now, enjoy the Italian Amarone around Christmas. You’ll find them on the web at CanyonCrestWinery.com while their tasting room is at 5225 Canyon Crest Dr., Ste. 7A, Riverside, Ca, 92507. This entry was posted in The Pleasures of Tasting Wine.